Loring Oak is a beautiful addition to any home. Part of the Lincoln collection, the 7 mm planks with square edge will provide the site-finished look you've been seeking. With its high-density planks and an especially wear-resistant surface, it can cope with pretty much anything to which it is exposed. 26.8 sq. ft. per case. Case quantity: 10. Case weight: 31.6 lbs. 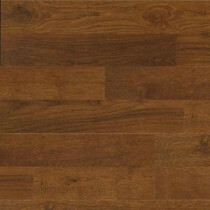 Buy online Kronotex Lincoln Loring Oak 7 mm Thick x 7.6 in. Wide x 50.79 in. Length Laminate Flooring (26.8 sq. ft. / case) LY09, leave review and share Your friends.